Thanks to the search engine giant that is Google, millions of users can take advantage of the most popular free email service available. Just about everyone has a Gmail account, and many businesses rely on Gmail web services to host their own domain specific email addresses. 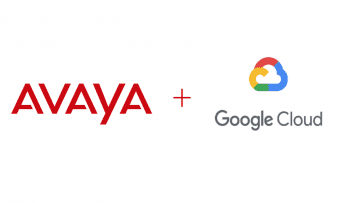 Google didn’t stop there, and even built an entire online based work application suite with Google Drive, Google Docs, Sheets, Maps, Calendars, and even a free VoIP phone number. 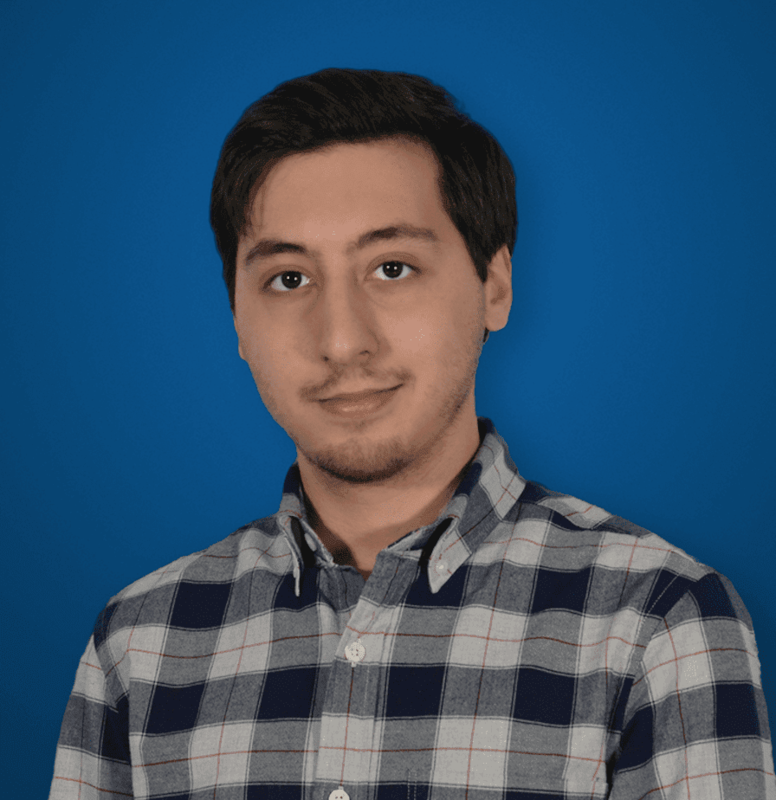 Whether you need a free, Cloud based word processor, excel spreadsheet, synced calendar, or even file hosting and sharing Google absolutely has you covered. The popularity of Gmail makes the platform an easy one to adopt, and utilize for any use case – even online faxing. 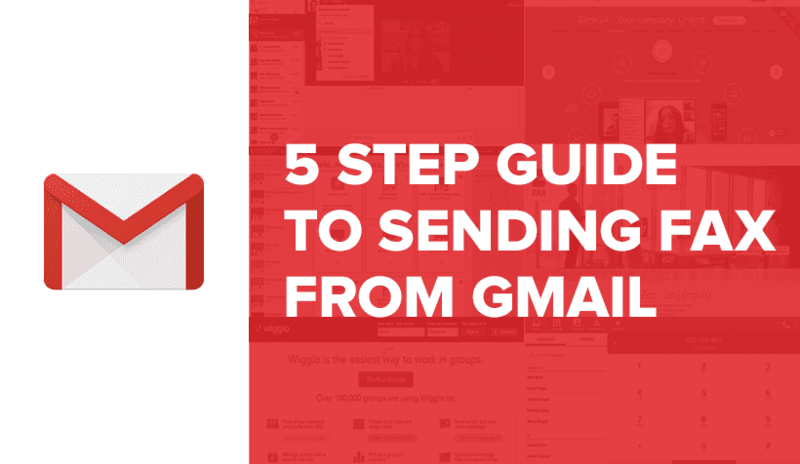 While Google themselves have not introduced a specific faxing feature for Gmail, and even made it clear on their support page that the Gmail Fax feature will not come directly hosted by Gmail, there is still a way! By utilizing other available online faxing tools, anyone can easily send just about any file type as a fax document directly through their Gmail account, just as if it was an ordinary email. The process to Gmail faxing is simple and familiar to anyone that’s sent an email, and can even be free. Since Gmail itself does not have a faxing feature baked in, the first step of the process would be to secure an online faxing provider. 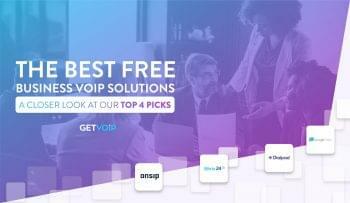 While the best services will be locked behind a subscription based model, if you are already utilizing a Business VoIP provider such as Nextiva or RingCentral, chances are you might already have access to virtual fax service. If your business doesn’t already utilize one of these providers, don’t go rushing to sign up just yet – many offer a 30-day free trial of their faxing services to send as many faxes as you need, and gain full access to the extensive feature list included. There are even dedicated online faxing providers, eFax is one of the most popular, and also offers a free 30-day trial. If you wanted to keep things a bit simpler, there are a number of free online faxing services that provide a limited number of faxes for free. While the process might be simpler, many of them will charge if you go above this limit, and might lack any in depth security measures or rich features such as digital signatures or scheduled fax deliveries. Some of these services also do not even allow you to send faxes through email, but require users to do so through their web portals. One specific provider, HelloFax, even has a Google Docs addon- for the Google Chrome web browser that makes it even easier to send any documents uploaded to your Google Drive as a fax. You can take a look at our Online Faxing providers page to see which is right for your needs. Instead of entering your text as a body of the email, you must attach your fax as a document to the email. In the “To” field where you would normally enter the email address of your recipient, you will enter the fax number of the recipient. However, Gmail doesn’t recognize fax numbers and how to send faxes, so this is where your Online Faxing service comes in. Each provider will supply you with a domain name for this step, and it will differ for each provider. However, each domain will generally be the same, similar to “@YourFaxProvidersName.com” but pay attention to any welcome emails or how-to’s listed on the provider’s website. To send a fax, the content must be contained in a document – .doc, .txt., .xls, .jpg, .pdf or any other popular format for text documents, images, or even spreadsheets. Simply click on the paperclip “attachment” icon and navigate to your document. You can also click the Google Drive button to attach anything currently stored in your Google Drive account. 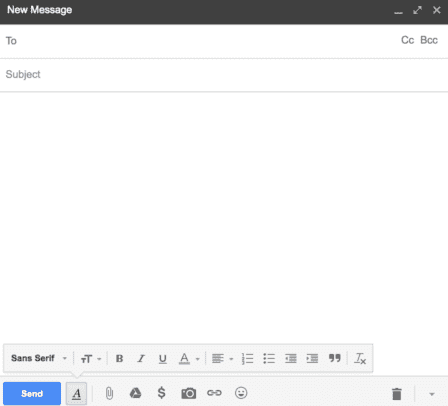 Entering any text within the body of the email, where you would normally draft your email, will be sent as a cover letter along with the attached document. Enter any relevant cover information here. Of course before you hit send, make sure to take a good look at your fax, ensure the correct information is entered, and if you haven’t done so yet input the recipient’s phone number, along with your fax provider’s domain, in the “To” field. 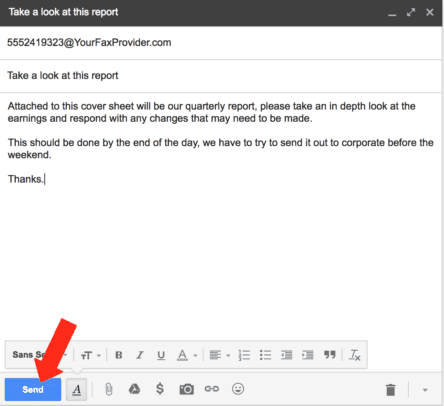 While there aren’t any direct faxing services that integrate with Gmail itself (HelloFax works with Google Drive directly), the process is actually a fairly simple one. Since anyone that has sent an email will quickly understand the concept, the hardest part of the equation will mostly involve selecting a provider. If you are not looking to adopt and pay for a solution, utilizing the Free Trial of the top players will ensure the highest level of security, reliability and feature access for at least 30 days. Those already subscribed to a Business VoIP provider that offers the online faxing service will already have an upper hand. Now you can send faxes on the go from just your email, no more waiting in line or searching for a working fax machine!